Welcome to the Brush Box Sampler set. 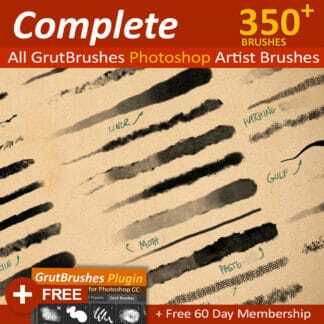 There are about 600 different brushes in the shop now, in the various sets, so it can be overwhelming for people new to GrutBrushes that’s why I put together this Sampler set of a small selection of brushes from the GrutBrushes Art Brushes Complete collection plus a couple from the FX collections as well. 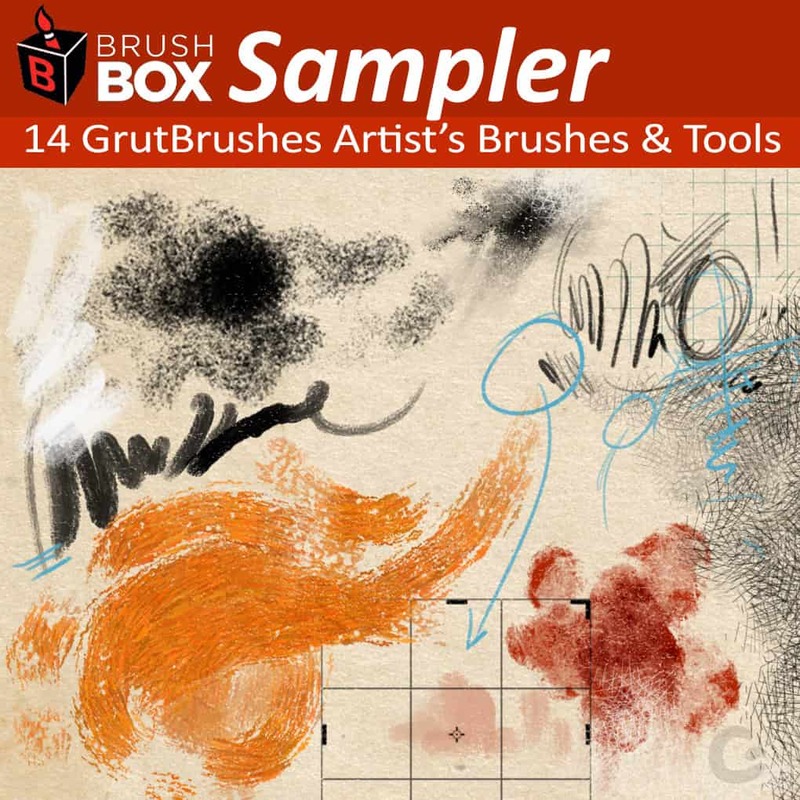 There are over 400 brushes in the Art Brushes collection alone so it was difficult to choose what to include in this sampler set. I tried to give you a wide variety of types in the hopes that there is at least one brush to catch the imagination of everyone who tries these out but if I have left out a type or style that you are particularly passionate about just let me know in an email and I’ll be happy to send you one! 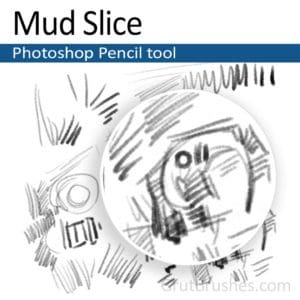 A standard soft Artist’s pencil for Photoshop. Equivalent to a 2B graphite pencil. 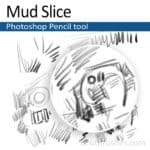 Versatile enough for light sketch lines with a light touch but it gives way to a dark rich line with not too much extra pressure on the Stylus. 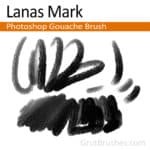 A semi-dry yet creamy finished gouache brush with a very even opacity distribution, ramping up smoothly from transparent to opaque, this natural medium fibered brush has an easily controllable flow and even tapering making it versatile as both a fill and a drawing brush. My favourite brushes of all are my Impasto Oil brushes. 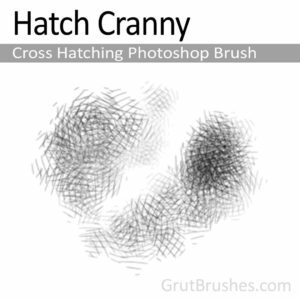 These were my original reason for making custom brushes in Photoshop. I fell in love with oil painting as a teenager and wanted to try to recreate that feeling of thick mushy goodness as you swirl an oil loaded brush around on a canvas but I just couldn’t find any that even came close. After a few years of trying, and hundreds of experiments later I created my Oil Impasto collection. While it can never rival the feel of ‘real’ oil paint flowing from a coarse bristle brush, I think its as close as one can get in Photoshop. I can still spend hours with just a few of these impasto brushes and sometimes I’d swear I can almost smell the rich oily linseed as I press my stylus to the tablet and watch the digital oil ‘squeeze out’. 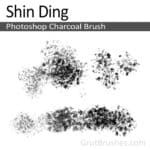 A crispy Photoshop charcoal brush with variable sized grain. This brush has a fairly wide range from fine powder to medium sized chunks of carbon. 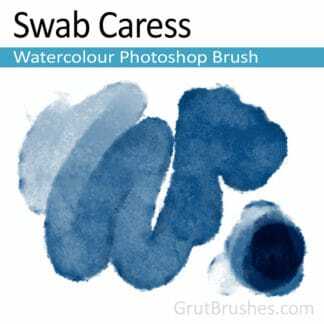 Watercolour brushes are always a crowd favourite. They are also the only sets of mine where the texture is always static. Almost all of my other brushes have dynamically generated paper textures which means that the background is never the same, even if you paint on the same spot, because the texture is all generated dynamically on the fly as you paint. This means that you can mix and match them as you wish and there will be no mis-matched paper background. Watercolours are different. It is precisely the way they react to the individual paper textures that makes them unique. A watercolour artist will spend much more time picking the paper than the paint or brushes as this is where all the character comes from, unlike say, oil painting, where the texture is defined by the look of the brush strokes themselves. Due to their translucent qualities, the distinct paper patterns and textures created when you use watercolour is the key to a good watercolour brush. 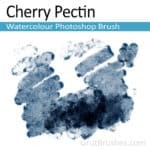 With this in mind, I have chosen a non-typical watercolour brush for you in this set. It’s unique in digital in that it’s look relies just as much on the way it can push the excess paint around at its edges as it does on the overall texture appearance. 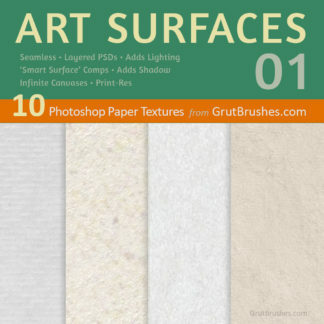 This ‘sculpt-able’ edge adds even more character to the spotty textured soaked paper it naturally creates. 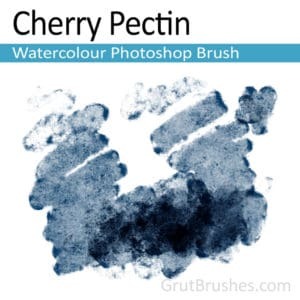 brush stroke of the Cherry Pectin Photoshop Watercolor Brush. 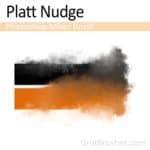 Tap/Hover to see it in action! A textured oil impasto Photoshop brush from the Waters 01 and 02 Series that has a natural 3d depth to it without using any layer styles or effects. 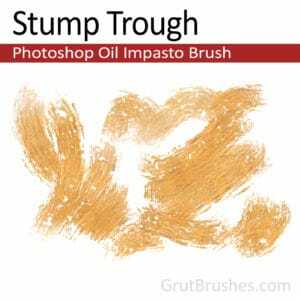 This type of impasto brush is a GrutBrushes original creation. 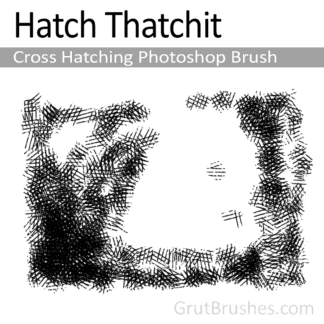 A delicate cross hatching brush with a variable opacity as well as size. 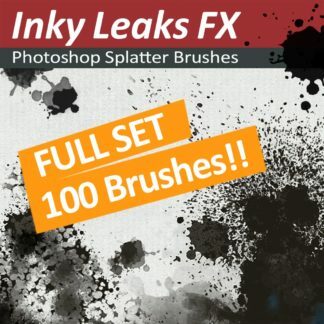 A pressure responsive Splatter brush from the GrutBrushes InkyLeaks FX Splatter Brushes Collection which contains 99 more splatter brushes. This brush is also dynamic and pressure responsive so the splatter and spray is always different as it reacts to your stylus motion and pressure. 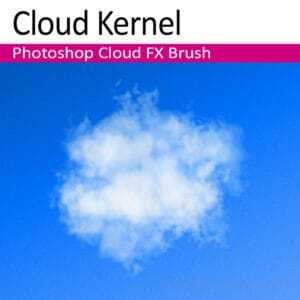 A pressure responsive Cloud brush from the Cloud FX Cloud brushes collection. A light touch and low opacity goes a long way! A chunky, organic Photoshop mixer brush for blending and shifting pigment with a very slight soft chip and chisel displacement. TIP: Changing the setting between current layer to “Sample All layers” will make a huge difference depending on what’s on your layers and which layer you use it on. If things don’t look right, try changing this setting in the Photoshop tool bar or switch layers. 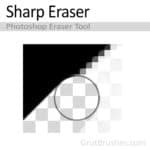 Photoshop’s default eraser, has a soft edge, even with the hardness set at 100%. GrutBrushes Sharp Eraser is an eraser tool for Photoshop that gives you a sharp, but still ever so slightly anti-aliased edge that is crisper than Photoshop’s much softer default eraser. 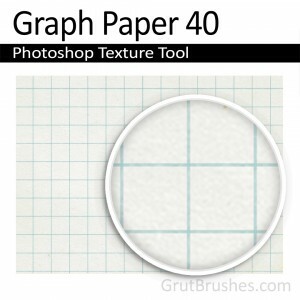 This graph paper tool preset will quickly fill a blank layer with a graph texture grid. Apply it to an empty layer and any paper (or other) texture below it will be instantly turned into graph paper. Not simply a flat grid of blue lines, this grid texture has an organic, print-like texture for a more integrated appearance. 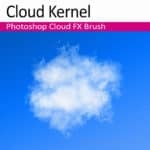 If you frequently need to crop a lot of images to a square 1:1 ratio format, (for instagram for example) add this preset to your Tools for quick access. 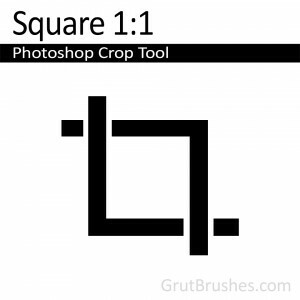 This simply selects the Crop tool and restricts it to a perfect square (width to height ratio of 1 to 1) to quickly trim the edges off your rectangular pictures. When this set it is updated, you can simply download it again from your account page to get the latest update. 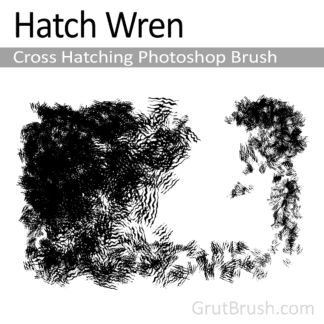 We really hope you enjoy these free brushes and tools for your BrushBox panel!